With an ever-growing list of happy clients behind us, our Gorillas are more in-demand than ever. In order to keep up with this the needs of our clients, the team is always growing. 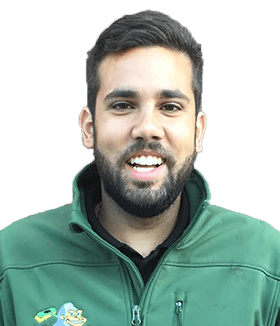 If you are in the Sudbury area, the only name that you need to know for your property maintenance is Andres. Andres and his team of Gorillas are always at work, removing clutter, ditching ice and getting rid of staining around your property. Staining can come in many forms but it is never appealing to look at. Natural staining can often be handled by a round of our Sudbury pressure washing but graffiti takes a bit more work. This paint can soak further into the façade of your property over time, which makes quick service so important. Our Gorillas make graffiti a priority, striving for same day removal as much as possible. These priorities extend to the other exterior surfaces all over your property, including windows and roofing. If you are noticing streaks on glass or clutter on roofs, call a Gorilla for your Sudbury window cleaning and roof cleaning and moss removal. When you need to keep roofing running smoothly, combine this service with our Sudbury gutter cleaning for well-rounded results. Whether it is rain, shine or snow, our Gorillas can help you maintain a clean and welcoming property.